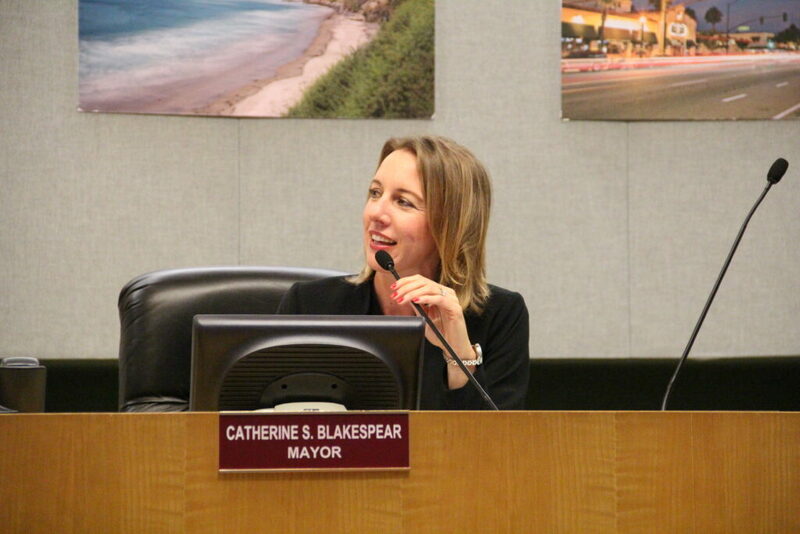 My first moments as your new Mayor. 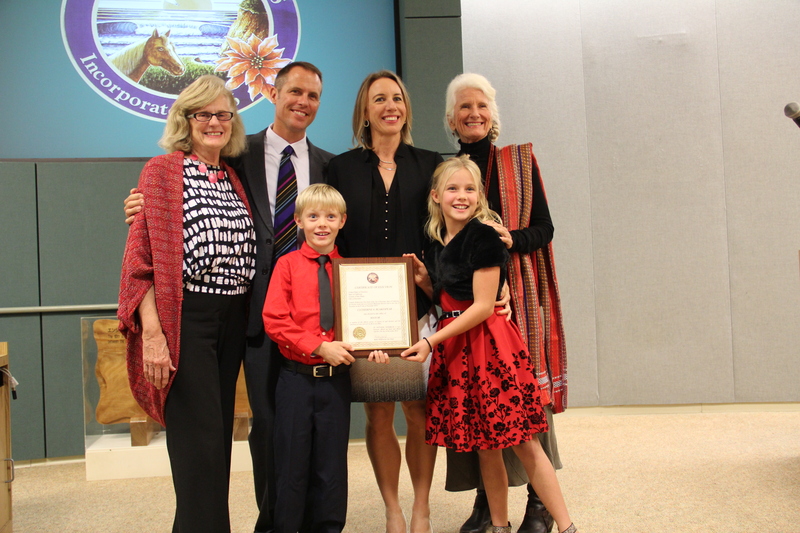 My family and me after being sworn in. 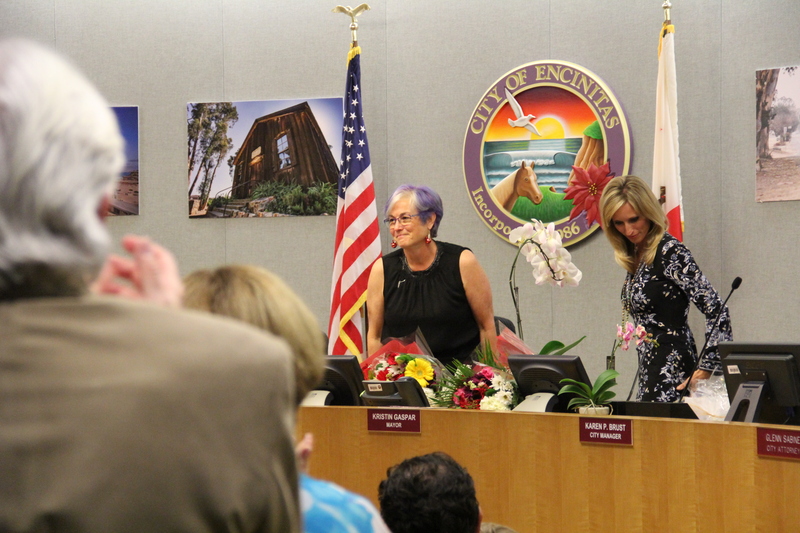 Lisa Shaffer gets a standing ovation at her last Encinitas City Council Meeting. 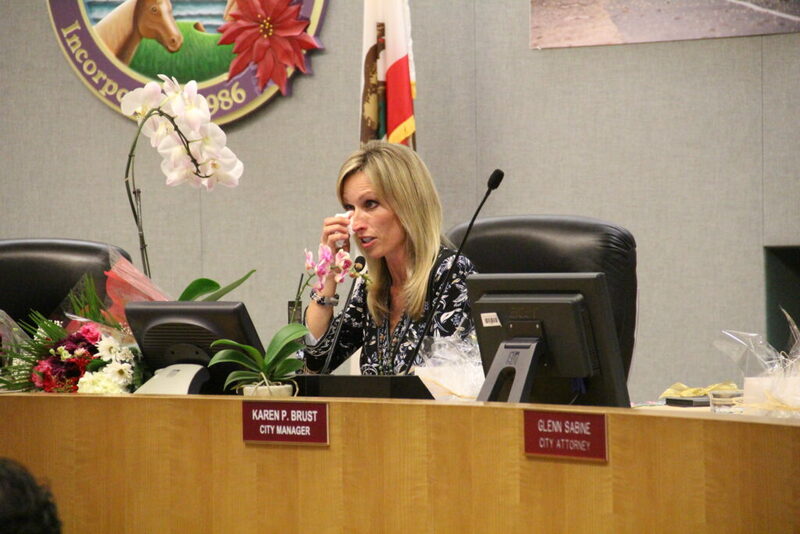 Outgoing Mayor Kristin Gaspar and others used up a lot of tissues on this emotional evening. 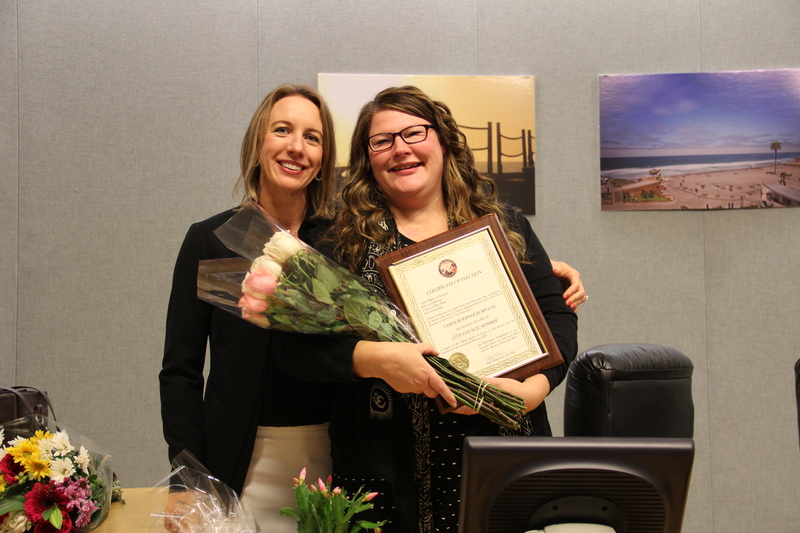 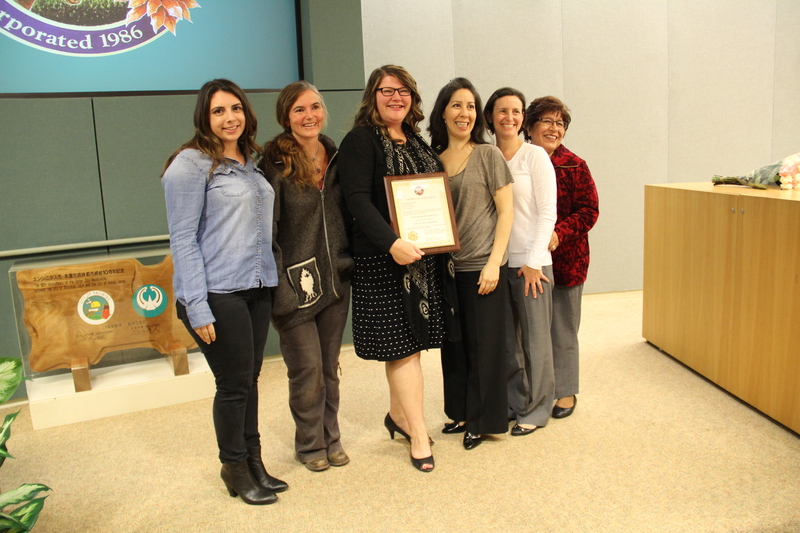 With outgoing Mayor Kristin Gaspar. 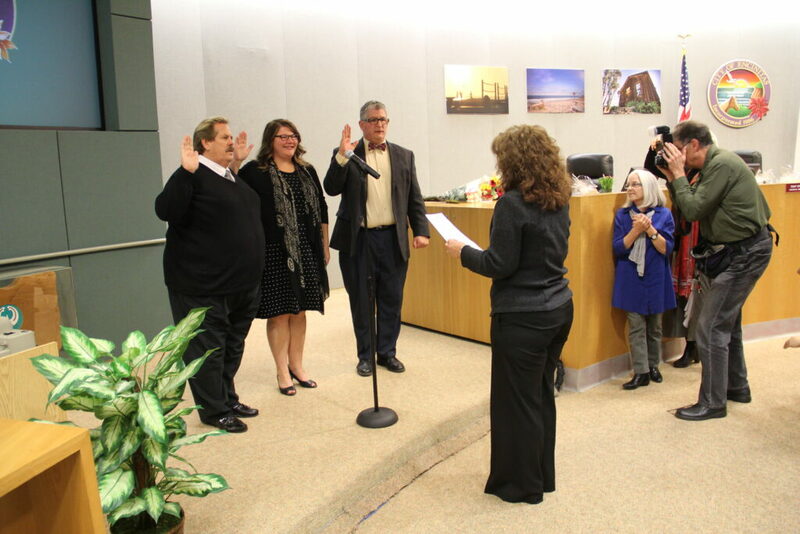 Mark, Tasha and Tony being sworn in. 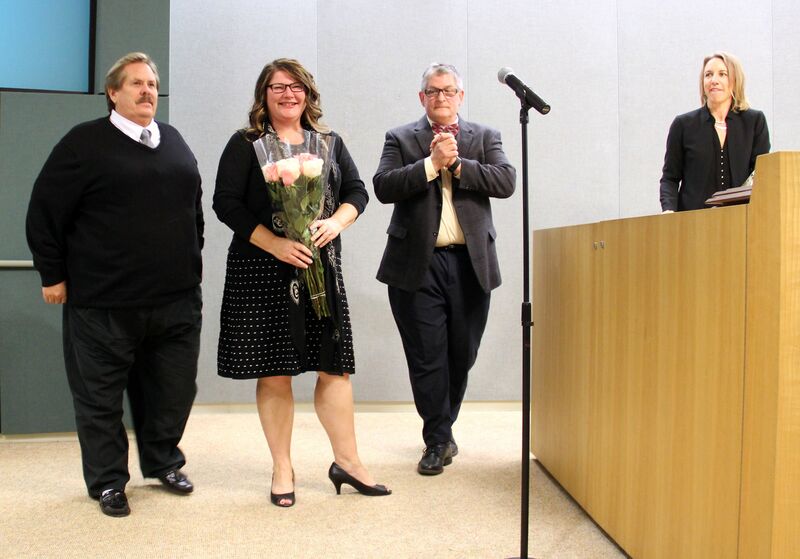 Four of us were sworn in, (l. to r.) Mark Muir, Tasha Boerner Horvath, Tony Kranz and me. 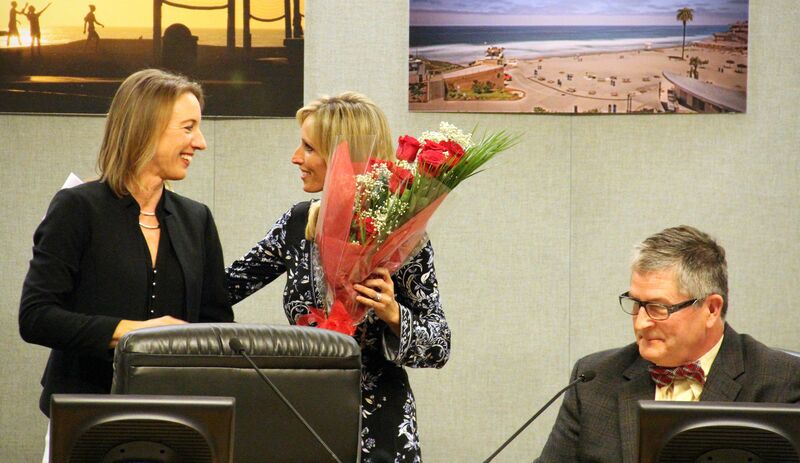 Tasha and friends afer being sworn in for her first Encinitas City Council term. 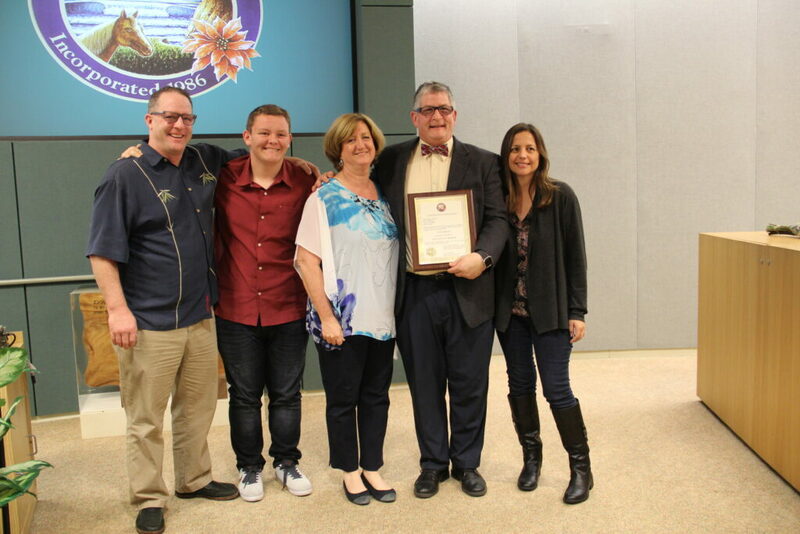 Tony and his family after he was sworn in. 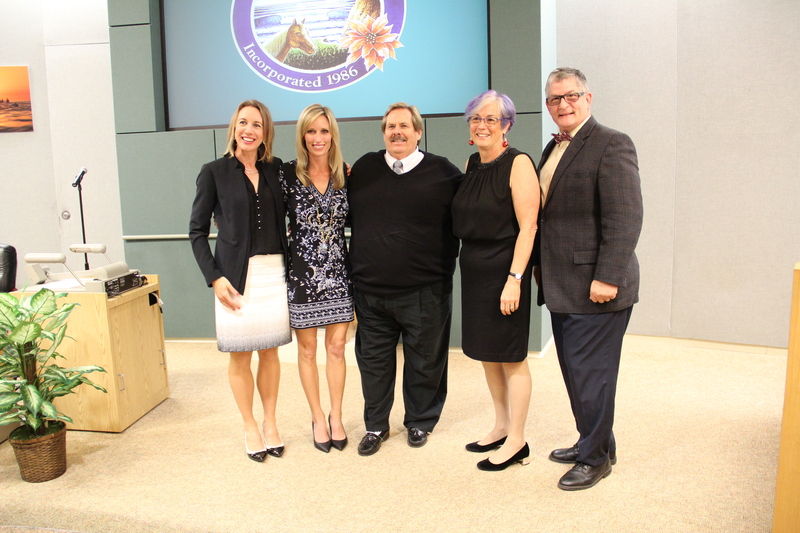 The outgoing City Council poses for one last photo. 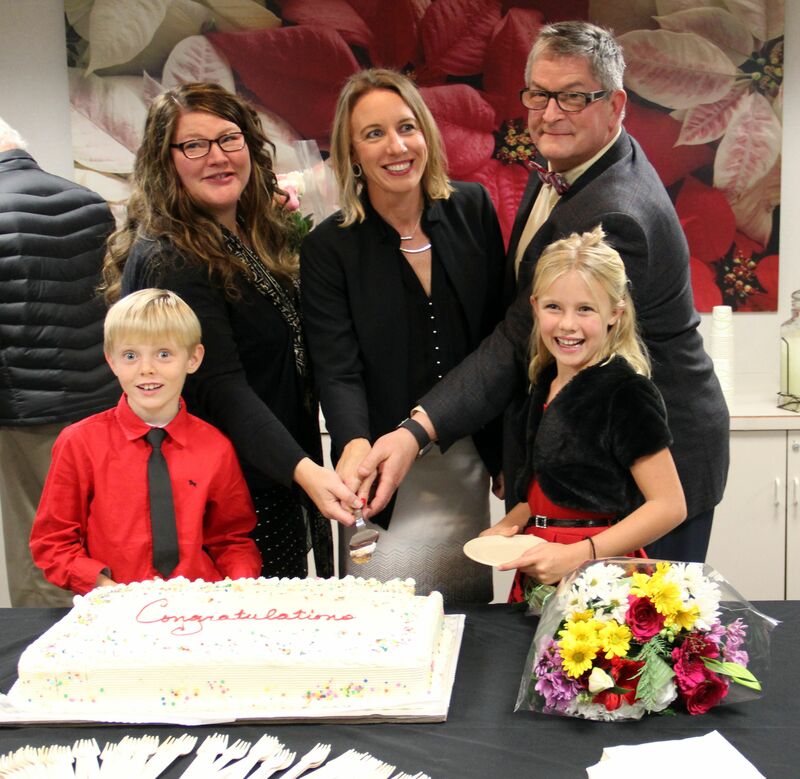 No new beginning is complete without cake!